Carnival Foundation supports hundreds of organizations annually with primary funding focused in the areas of the arts, human needs, education, health and the environment. This is a partial list of the many organizations and agencies Carnival Foundation supports. In 2007 Carnival Foundation launched an in-the-workplace mentoring program for high school students. Those chosen are graduates of the HEAT Academy, an after-school academic-enrichment program sponsored by Carnival and offered at three at-risk Miami-Dade County elementary schools. HEAT Academy graduates who meet the program’s middle school grade criteria are invited to participate in the Carnival Scholarship & Mentoring Program as high-school freshmen. Currently, 110 Carnival management team members serve as mentors to 110 Miami-Dade County high school students. 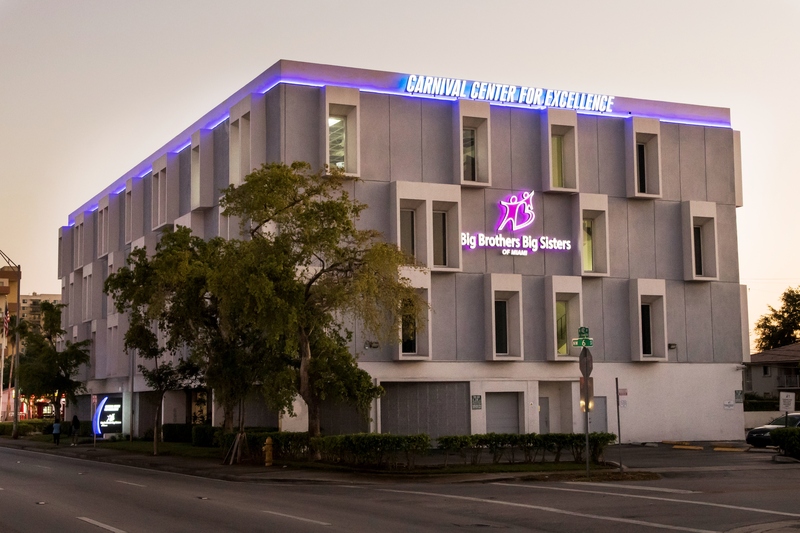 During the school year participants visit Carnival headquarters for four hours monthly to shadow their Carnival “big” and observe them in an office environment. In their senior year, Carnival Scholarship & Mentoring Program participants can apply for one of 15 college scholarships Carnival Foundation purchases annually from Florida Prepaid College Foundation. Carnival has spent more than $3.5 million on 240 scholarships, and has awarded 135 to mentoring program graduates. The first class of the scholarship recipients graduated from college in 2014. Administered by the Zoo Miami Foundation, the Carnival Kids Program is a conservation and environmental science program for fourth- and fifth-grade students in at-risk schools in Miami-Dade and Broward counties. The program assists more than 600 students annually and has served more than 9,000 students (19 Title 1 Schools) since its inception. Carnival Foundation and the Miami HEAT NBA team partnered to offer this after-school enrichment program for students in third through fifth grade. Focused on improving math and reading skills through a unique hands-on thematic curriculum, the program is offered at three local inner-city schools and serves 390 students annually. Carnival Foundation is the presenting sponsor of HEAT Academy. Carnival Foundation funded the renovation of the Pediatric Intensive Care Unit at Holtz Children’s Hospital. The “Carnival Cares for Kids Center” includes 30 special oversized rooms that enable family members to remain with their critically ill children, as well as a comfortable lounge where family members can relax at the hospital. In addition, Carnival Foundation, in partnership with the Miami HEAT and the Micky and Madeleine Arison Family Foundation, has committed funding to be designated for the Children’s Outpatient Specialty Center at the new Jackson West Doral Campus. The Children’s Outpatient Specialty Center includes a pediatric emergency room, diagnostic services and outpatient surgical facilities. The Center will provide high-quality care to one of our most heavily populated areas. The new campus features world-class pediatric care and serves the growing communities to the west of the county, including Doral, Miami Springs, Sweetwater, West Miami and Virginia Gardens. 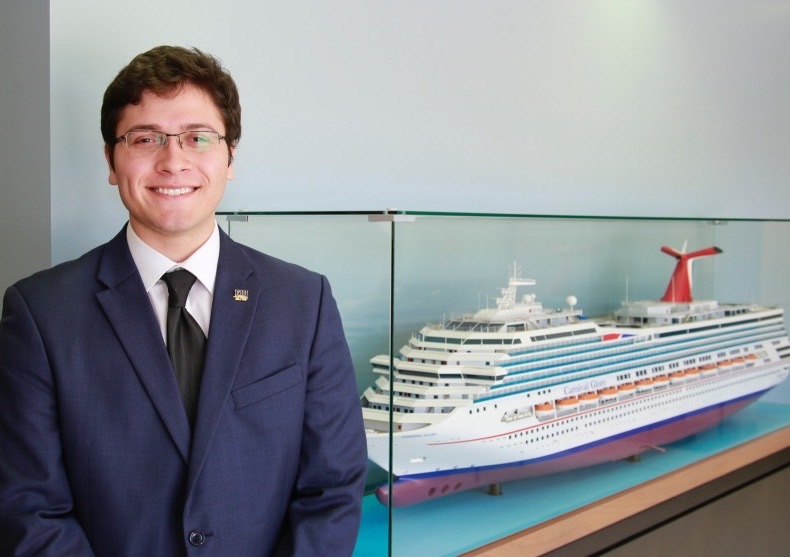 Carnival Foundation supported the creation of the museum’s Carnival Cruise Line Ship Exhibit, which features a cruise ship environment where visitors learn about how a cruise ship functions and the cruise industry’s relationship to local and international communities. Carnival Foundation funded the renovation of the school’s 2,600-square-foot multipurpose facility, which was renamed the Carnival Student Center. The facility creates a gathering place for more than 1,500 students annually. With nearly $1 million in donations since 1995, the Foundation also established Carnival-sponsored scholarships for undergraduate and graduate FIU students. In 2014, Carnival Foundation further strengthened the relationship by adding a scholarship endowment known as the Carnival Bridge Scholars. The program supports junior and senior students who are in jeopardy of not graduating due to financial constraints and the endowment enables them to complete their education. Carnival Foundation also established the Carnival Gold Scholars program at the school through a $400,000 multi-year gift. The program awards renewable, full-tuition scholarships, including room and board, of up to $20,000 each to five new qualifying students every year. Founded by the late Ted Arison, YoungArts is an arts scholarship program that aspires to identify emerging artists and assist them in their educational and professional development. To date, YoungArts has honored more than 17,000 young artists with over $6 million in monetary awards. Carnival is the premier sponsor of YoungArts. This intensive three-year fellowship program, which was founded by Ted Arison, offers young musicians a range of performance and educational opportunities in both domestic and international venues with an annual audience of more than 78,000 patrons. Carnival is the organization’s premier sponsor. Carnival Foundation in partnership with Carnival Corporation & plc, is providing a monetary gift over five years to support The Nature Conservancy’s global marine protection efforts. Foundation support is directed to locations where industry and community are most dependent on marine and coastal resources — including conservation priority sites where Carnival Corporation and its nine cruise line brands operate. Lotus House is a women’s shelter dedicated to improving the lives of women, youth, and children who are experiencing homelessness in Miami. Carnival Foundation donated $1 million for the Carnival Foundation Play Therapy Rooms inside the Micky and Madeleine Arison Family Foundation Children’s Wellness Center at Lotus Village. The Carnival Foundation Play Therapy Rooms include four play rooms and a dedicated family room for mother and baby break time, breastfeeding, and family therapy. The National Museum of African American History and Culture was established as the 19th museum of the Smithsonian Institution, the largest museum complex and research organization in the world. Its mission is to provide for the collection, study and establishment of programs and exhibitions relating to African American life, art, history and culture. Enacted through Congressional legislation, the Museum represents a national initiative of profound cultural importance that will impact this nation for generations to come. Carnival Foundation in partnership with Carnival Corporation is a Founding Donor of the Museum.